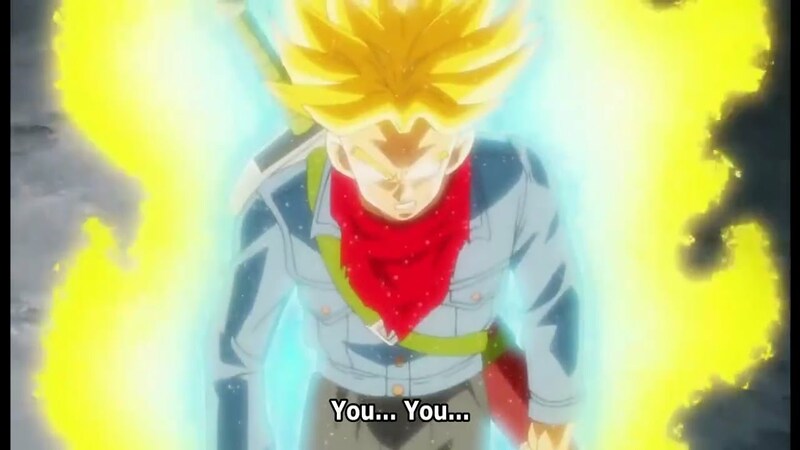 According to Dragon Ball Super's manga, Trunks is able to transform to SSJ2 which was used to defeat Dabura and Babidi. When he traveled to the past, he didn't know about Goku's SSJ3. In the fight against Zamasu and Black, he transformed into a powerful Super Saiyan form, for a moment and could handle a battle with Zamasu, apparently this is not a stronger transformation like SSJGSSJ (Super Saiyan Blue). Also this transformation has a similar Ki aura of a Super Saiyan Blue, but he keeps hair of a SSJ2. So, what transformation is this? Here is the link to read about Super Trunks Super Trunks. Right now there isn't any real evidence of it being a god-level transformation. But it appears to be powered by the hope of humanity. After gathering the power of light and hope from mankind, Trunks gained a new type of power up in this form, turning his aura completely blue, his body producing blue energy around him. Why Goku super saiyan blue's power up aura glows different colors inside lately?